The Hundred Acre Wood is a diverse farm with extensive hardwood forest dotted with islands of permanent pasture. 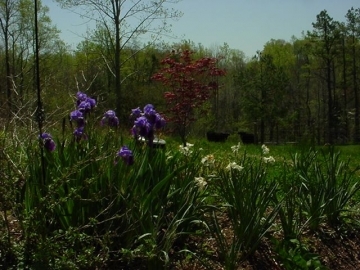 The pasture is home to Dexter cattle, goats, pastured pigs, chickens, and a Haflinger draft horse. We are Animal Welfare Approved. The farm also includes gardens, a small orchard, and a saw mill. A restored log barn offers humans and other creatures sanctuary. Several trails allow access for hiking in our park like woods.